SAN ANTONIO - The paperwork and the pictures show Ivy Taylor has made this space her own; what you won't find are moving boxes. The corner office at San Antonio City Hall is a coveted one. There are 14 different candidates striving for the desk that Ivy Taylor currently occupies, and she wants to stay there -- that makes her a unique candidate. On an average day, Ivy Taylor can wear a number of hats, beyond mayor and candidate. 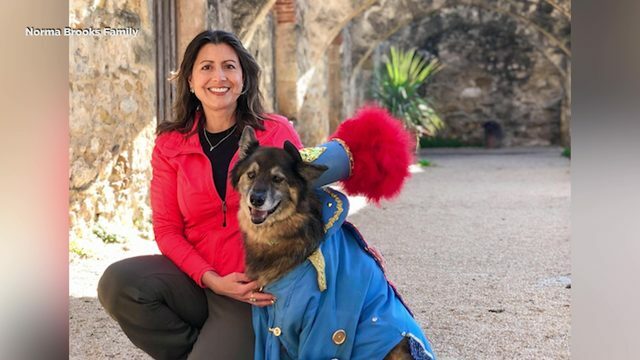 "I definitely feel that that's my top responsibility is doing the job for San Antonians, and then I'm layering on top of that the campaigning and being a professor and a mom, don't forget that," said Taylor. She made history as San Antonio's first African American mayor, and it's a history not lost on many of the students she teaches in her urban planning course at the University of San Antonio. Tuesday was their last day of class, along with final reports, well wishes and selfies. This mayor's race is her first citywide campaign, and she's had her share of surprises. "I guess a little bit of the mud that's been slung has been surprising, but I guess some folks who are career politicians that's their M.O." said Taylor. Ivy Taylor has been criticized for being appointed after promising not to run for election, and then changing her mind. She's also faced opposition for not voting for the city's nondiscrimination ordinance. She believes her track record of making tough choices is what the city needs, pointing to sinking the VIA streetcar project, as one choice. Ivy Taylor also winces at being called a politician, even as she occupies one of the city's top elected offices. "I feel great about the campaign, we've been running on a positive message and running on my record of achievement and working hard for the citizens of San Antonio. And I believe the voters will respond to that," said Taylor.